If you or a loved one are considering moving to an assisted living facility, it is important to know the legal and financial aspects of the arrangement. The Coye Law Firm's assisted living attorneys can provide you with experienced representation in securing payments or rights when you make this important decision. Assisted living facilities can be expensive. Some facilities offer extensive services, and money is needed to provide the proper staff and care. While retirement plans or private funds may cover some of the expenses, a resident's family might need to supplement the payments or find alternatives. Many states require these institutions to disclose the full cost of care for incoming residents in order to prevent financial shock. Insurance is also available for the costs of an assisted living facility. Medicare is available for individuals and their spouses who qualify for Social Security benefits. This federal health insurance program may pay for some assisted living services, such as "skilled nursing care." The routine aspects of caring for an elderly or disabled person's daily needs may not be covered under the plan, but it can be helpful to seek small amounts of coverage if the services qualify. According to the National Senior Citizens Law Center, Medicaid may pay for the personal care services that Medicare does not. Individuals can qualify for Medicaid coverage if they have low incomes or resources. Each state regulates its own Medicaid services, so the requirements may vary. The Florida Agency for Health Care Administration lists the state's requirements here . An additional method of financing assisted living comes from insurance policies. Individuals can purchase long term care insurance policies if they anticipate staying in an assisted living facility or medical care in their own homes. Florida has developed a partnership between insurers and medicaid to encourage it's residents to purchase policies. To read more about the program, visit this website . New residents may need to sign documents stating that they will abide by the rules established by the facility. These rules may be developed for many reasons, one of which being insurance coverage. However, it is important to read each document before signing it. Some rights may be waived as a result and this could lead to a legal dispute. 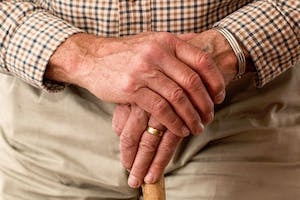 Call the family lawyers at the Coye Law Firm to resolve an assisted living facility dispute before it occurs or becomes overwhelming. Our experienced assisted living facility attorneys can help you and your family understand the legal implications of the move. If your loved one is concerned about their living conditions or you have witnessed suspicious behavior, educate yourself on nursing home negligence and the solutions immediately. The Coye Law Firm can restore your own or your loved one's health and safety if other methods of abuse intervention haven't been successful. If your loved one suffers a personal injury as a result of someone else's negligence, it should be pursued by the experienced legal team at the Coye Law Firm. Families invest a significant amount of trust and money in an assisted living facility if unable to provide necessary care for an older relative. Help reduce the difficulty of this decision by consulting an experienced assisted living lawyer at the Coye Law Firm. Our Orlando family law firm can help you sort through paperwork related to facilities, insurance policies, or payment methods. Our compassionate yet aggressive representation will fight to protect your own or your loved one's rights in the unfortunate case that they are being denied. Call today.